As I finished Chigozie Obioma’s amazing first novel, The Fishermen, I was reminded how much I love reading debut novels. I always feel like I’m meeting a new friend and there’s an exciting possibility that our encounter might evolve into a long-term relationship for years of reading enjoyment to come. Debut novels sometimes jumpstart long and successful writing careers. Sometimes they turn out to be only children. Some first novels turn out to be a writer’s finest work; others represent a stepping stone in a writer’s evolution. 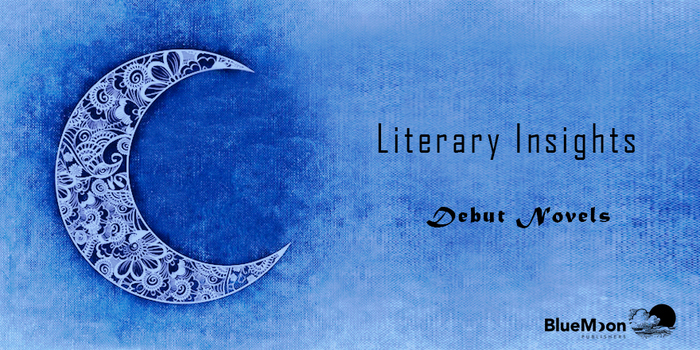 Regardless, debut novels are a writer’s introduction into the literary world. After months or years of toil in giving birth to that first book, it’s time to sink or swim in a very competitive arena. Here are three of my favorite debut novels published during the past two years by new and very promising American, African, and Irish writers, including insights from each about how their novels came to be. The Book of Unknown Americans is a novel that gives a human face to the many Hispanic immigrants who have come to the United States. The novel is told from alternating perspectives of eleven immigrant neighbors—the unknown Americans—who live in the same apartment complex, each one inviting readers to view the immigrant experience through their eyes. The central plot revolves around the relationship between two adolescents whose parents have sacrificed everything to begin a new life in Delaware. Henriquez began writing the novel with a single narrator but found that one voice was not sufficient. The immigrant experience is complex, she explains, and different for each individual. To give “everyone an opportunity to be heard,” the voices of ten more narrators would be added in this ambitious undertaking, especially for a first novelist. The Fishermen is a beautifully written, tragic story of broken family bonds set in a small town in Nigeria in the mid-1990s. The story is told through the eyes of nine-year-old Benjamin, who accompanies his three older brothers to a dangerous and forbidden river to swim, only to encounter the town’s madman. Abulu’s prophecy of violence to come pits brother against brother and unravels their once close family ties. The Fishermen was foremost an attempt to tell the universal story of family bonds and what happens when they are severed. First, it was intended as a sort of tribute to my siblings, especially my brothers—a love letter. I am from a family of twelve children: seven brothers and four sisters. In 2009, living in Cyprus, and homesick, I began reflecting on something my father had told me some time before, about his joy at the growing bond between my two eldest brothers who, growing up, had maintained a strong rivalry that would sometimes culminate in fist fights. As I began pondering what was the worst that could have happened at that time, the image of the Agwu family came to me. Red Sky in Morning is a tense, dark tale of vengeance written with sensitivity in lyrical prose that belies the stark nature of the violent plot. The novel spans two continents, beginning in Ireland with a murder in 1832, triggering an intensive manhunt that eventually crosses the Atlantic and ends in the cholera-ravaged railroad work camps of Pennsylvania. The moment I came across what happened at Duffy’s Cut I knew I would have to write about it—I sensed that it contained the sort of dimensionality you want for a novel. As I was writing it I began to see in it a story of power, corruption and our atavistic natures—that deep tribal racism that is always at work. I could see in it a tale of our basic need to make good of ourselves, and the flipside that emigrants do not always make good. That sometimes they disappear off the face of the earth, and so the story conjures the abyss. I also see in it an allegory for where we are today. Unlike the vast majority of first novels, Red Sky became the center of a six-publisher bidding war in Great Britain, and Lynch was able to negotiate a two-book contract (his second novel, The Black Snow, is also excellent) with Quercus Books of London for a handsome sum. Russell Banks, whose debut novel was Family Life, uses a combination approach: His novels may begin as one sentence or phrase. As he writes and the story begins to evolve, he makes a rough outline of the entire novel. For each ten-to-twenty page segment to be written, he creates a shorter, more detailed outline, repeating this cycle until the novel is written. “It keeps me from falling off a cliff,” he says. Edwidge Danticat, whose debut novel was Breath, Eyes, Memory, makes collages on her bulletin board to guide her writing, a technique she adapted from filmmakers who use story boarding to map out scenes. When John Irving, whose debut novel was Setting Free the Bears, begins to write a new novel, he always starts with the last sentence. Some writers set daily word quotas for themselves; others do not. Some writers prefer to write longhand on paper; others bang on manual typewriters or type on iPads. Some writers prefer to lie in bed and dictate their novels using voice-recognition software. Although their approaches to writing may vary dramatically, first time novelists do share some common characteristics that contribute to their success. 1. Writers need quiet, uninterrupted time to write. Most writers feel it is important to have a writing regimen and dedicate a certain portion of their day to writing. Although most writers long for their own private writing space away from the world, writers can and do write anywhere—in studios, cafes, kitchen tables, airports, and front seats of cars while their children are at soccer practice. 2. Writers need to be observers. “A writer is someone who pays attention to the world—a writer is a professional observer,” according to Susan Sontag, whose first novel was The Benefactors. Writers observe and then translate their observations into language. They write observations in notebooks, on scraps of paper, napkins, or the backs of envelopes—whatever is handy—and tuck them away in shoeboxes or desk drawers or pants pockets until they are needed. Whether writers are in the Waldorf Astoria or a Wal-Mart parking lot, they are always in the prewriting stage of collecting ideas that may someday populate a novel. Writing a first novel can be a long and discouraging journey, plagued with self-doubt and discouragement. “I mean, the amount of hours, the energy, dreaming, pondering, writing, editing, and rewriting that goes into a book—it feels like an ocean of time and effort,” writes Jumpha Lahari, whose debut novel was Namesake. Much of the time it was debilitatingly frustrating. When you’ve been working on a project for six years, seven years, eight years, and the end isn’t in sight, and you have nothing to show for yourself… it begins to feel really grim. There were many days and months when I figured I’d work on the novel for the rest of my life without finishing it. What kept me going, I suppose, was that I always really loved the idea of the book as it was being elaborated in my head, even if what I was writing down kept falling way short of the mark. And at a certain point, you’re just priced into the project–you’ve invested so much time and emotion that it seems even stupider to stop than to keep going. 4. Writers need to rewrite extensively. The majority of writers draft their entire novel before beginning to edit, while others, such as Lynch, edit sentence by sentence as they write. Regardless, the first draft is “what you hear in your head, but it’s never right the first time,” according to Stephen King, whose debut novel was Carrie. “So you have to rewrite it and revise it,” perhaps many times. 5. Writers need to have passion for their subject. In writing The Book of Unknown Americans, Hernandez’s driving passion was to encourage Americans to begin to see immigrants differently—”to understand each as a human being with an individual story to tell.” Obioma’s passion in writing The Fishermen stemmed from both his close bond with his family and his concerns for his home country. And Lynch was moved by an injustice against his Irish ancestors to write Red Sky in Morning. 6. Writers need to enjoy their own company. There’s something of the loneliness of the long distance runner in it. It often feels like an extreme sport. Hour after hour after hour of solitude. Time passing quickly if the work is going well, crawling if it’s not… Solitude for the writer is hard and glorious and essential. It’s like a good marriage: The more you commit to it, never giving up no matter how difficult things get, the more grace and mystery is revealed to you. Some writers such as Hernandez don’t find solitude to be a huge problem. “I am very, very content hanging out with imaginary people all day,” she says. 7. Writers need time to read. Be a compulsive reader. Read the classics. Read contemporary work–work from your own here-and-now. Listen for the sound or the music of a novel. Reread sentences you love–or loathe. Underline passages. Copy out favourite paragraphs. Tear out pages. Scrawl in the margins. Every writer, as he or she develops, needs to apprentice under another writer, whether it’s on or off the page. Every writer also needs to stay in touch with the beautiful force in fiction that made them want to write in the first place. Do you have a favourite debut novel? This piece presents excellent insights into debut novels and underscores the tremendous effort and risk in attempting a first novel. Thank you. Thanks for all these valuable insights. Reading these posts, I see that we are all connected, in a sea of subconsciousness. We are each unique and individual, but we share the same dreams.